You would have to be living in your own bubble not to be aware of the collapse of Greater Vancouver single detached house sales. The Sunshine Coast is too close the lower mainland not to feel the repercussions of the roller coaster ride of lower mainland booms and busts. 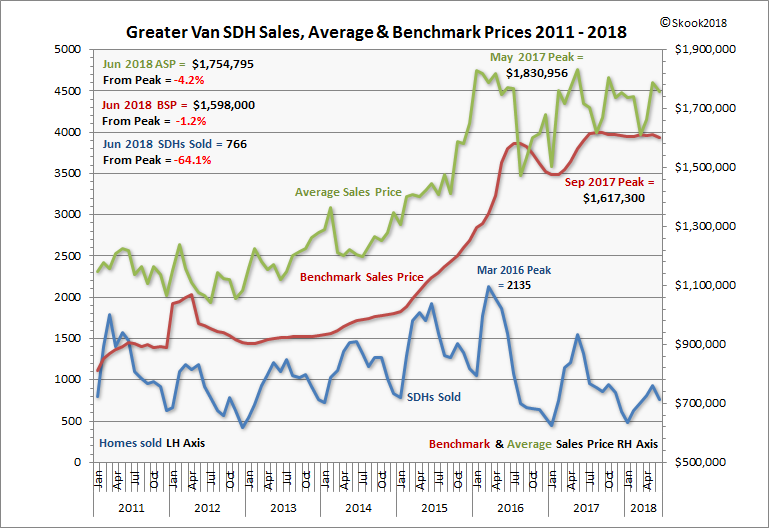 Because of this, I first posted Greater Van stats here on the blog back on October 18, 2016...and...um...I guess an update is a tad overdue. 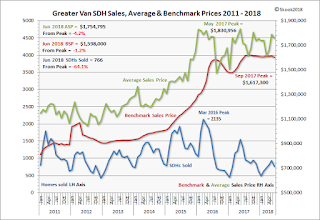 There were 766 SDH sales in Greater Van in June - a -42.0% drop compared to June 2017 (1320) and down -17.2% month-over-month (May: 926). 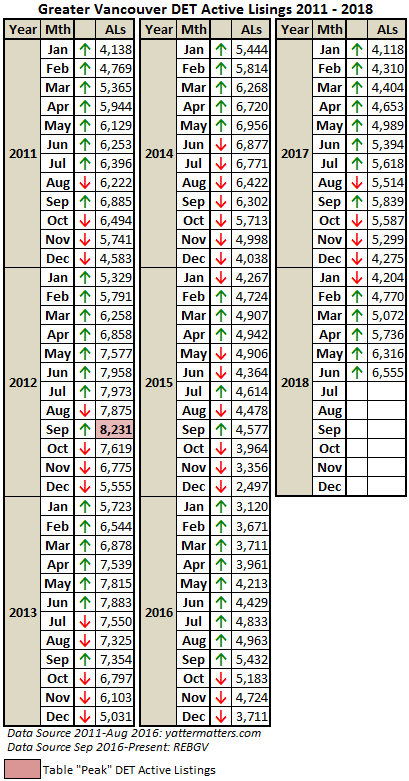 On the Sunshine Coast, SDH sales dropped -43% year-over-year (51 vs 89 sales) and -25% month-over-month (51 vs 68 sales). 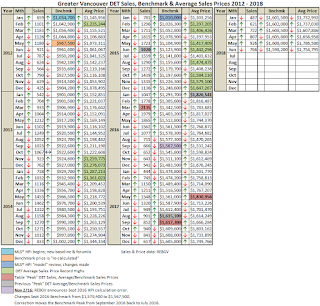 For greater detail on SC Detached sales see my July 22, 2018 post (#4). 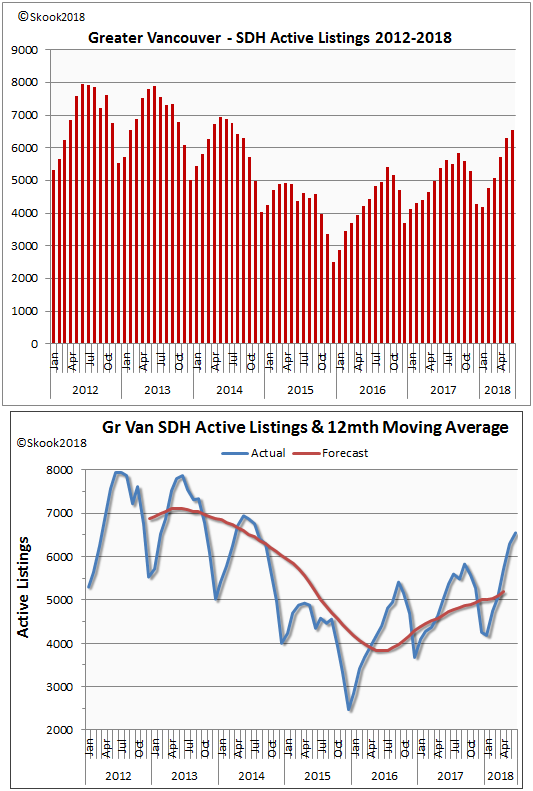 While sales drop, active listings are on the rise which does not bode well for prices: listings for June 2018 rose +21.5% year-over-year and +48.0% versus June 2016. I believe that 12-month moving average (Forecast) is poised for a parabolic rise and that means...Buyer’s Market!!! Reporter Joannah Connolly, Glacier Media Real Estate, posted a synopsis of Greater Vancouver Home and Condo sales in the July 4, 2018 edition of the North Shore News. It’s excellent. 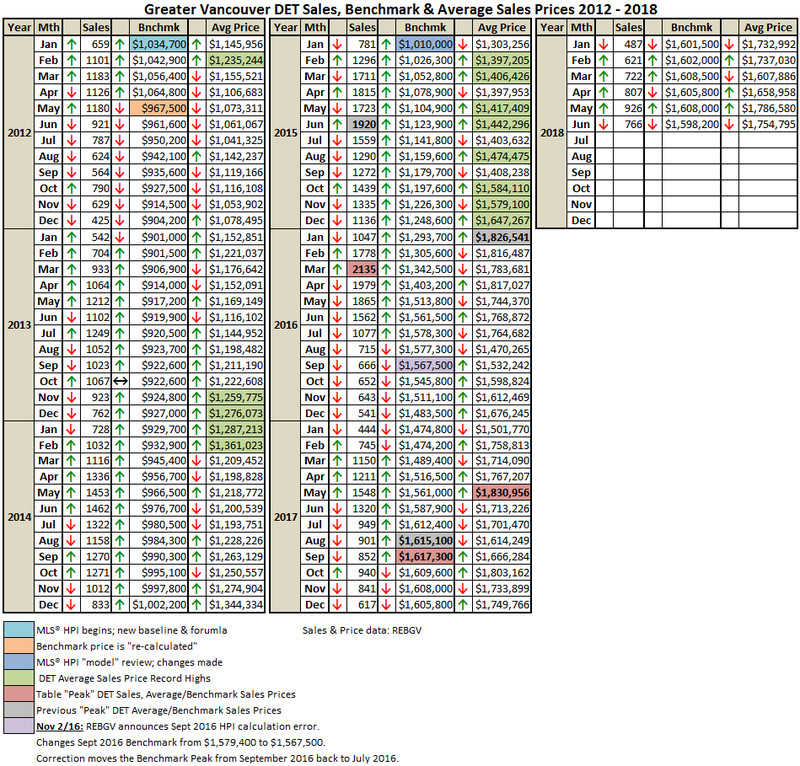 The next post will give you the tables and charts for those condo sales stats.